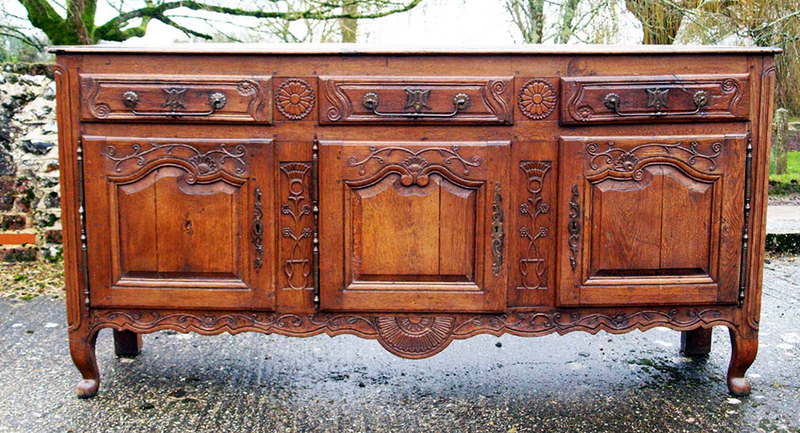 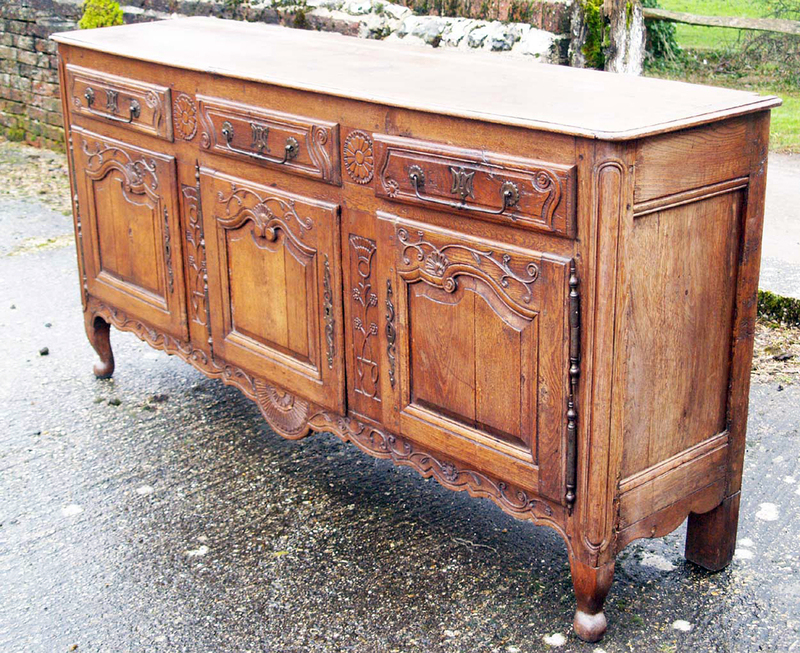 A stunning French antique vintage oak Enfilade, 3 door buffet, originating from the Normandy region of France, with 3 drawers and 3 doors below, C 1775. 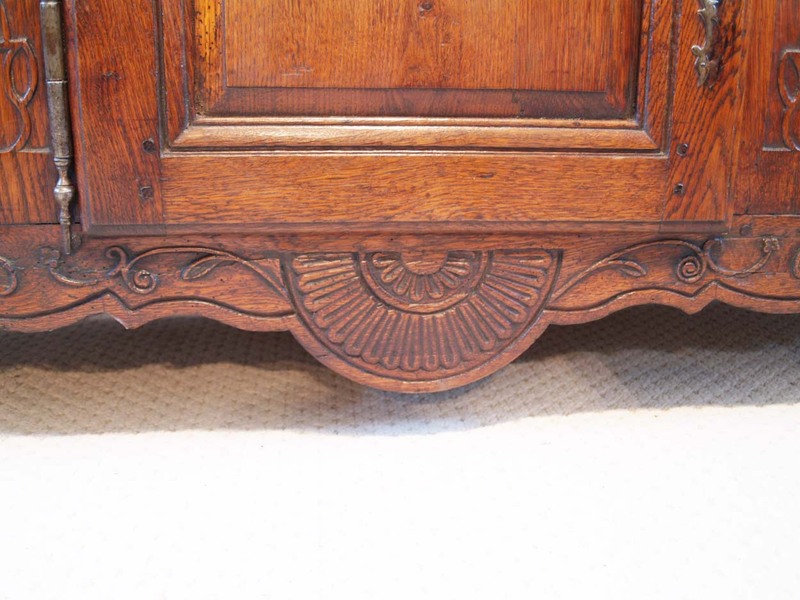 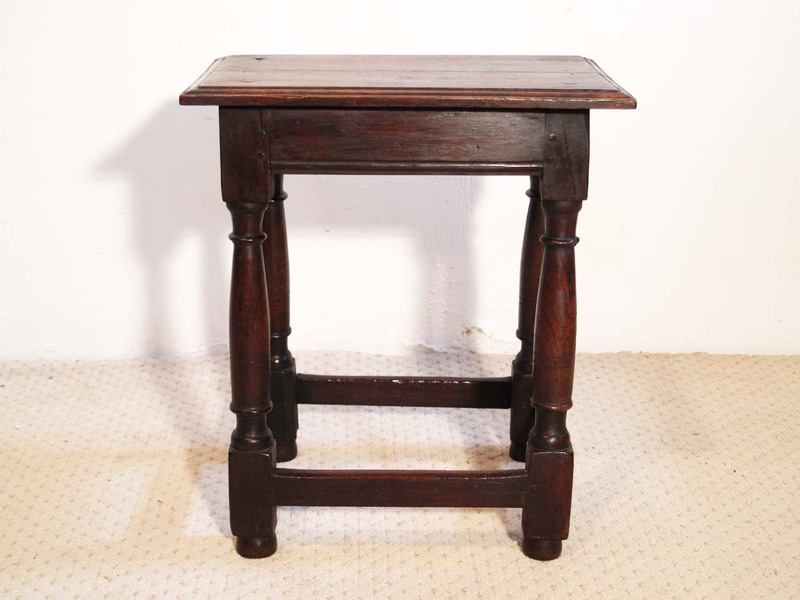 The wonderful, period quality crisp carving, lifts this piece giving it a wonderful feeling of quality. 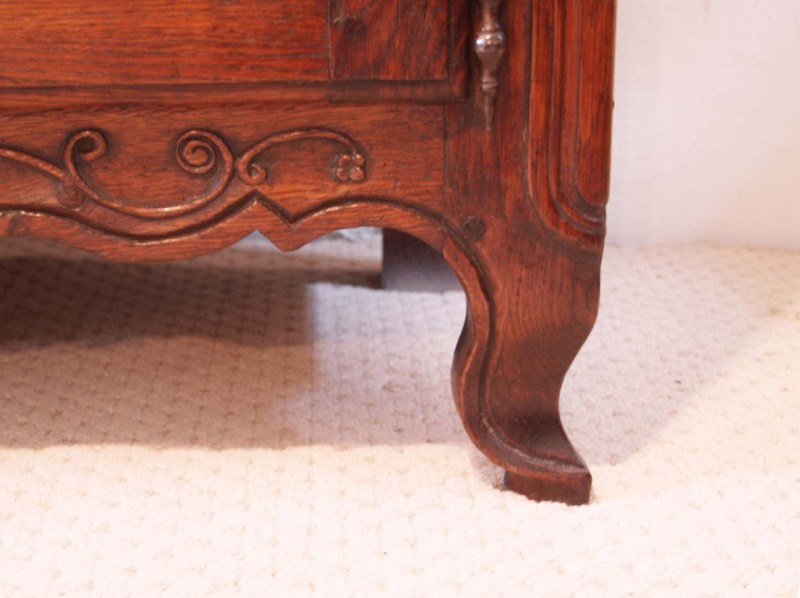 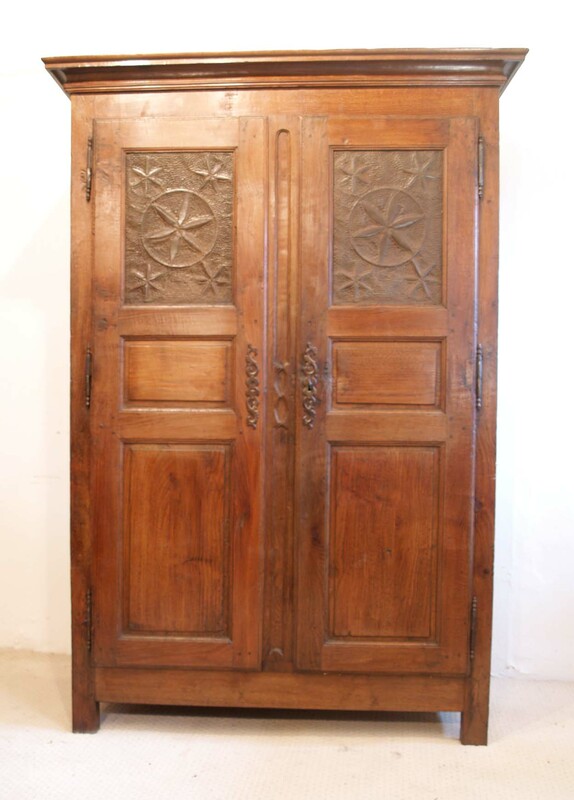 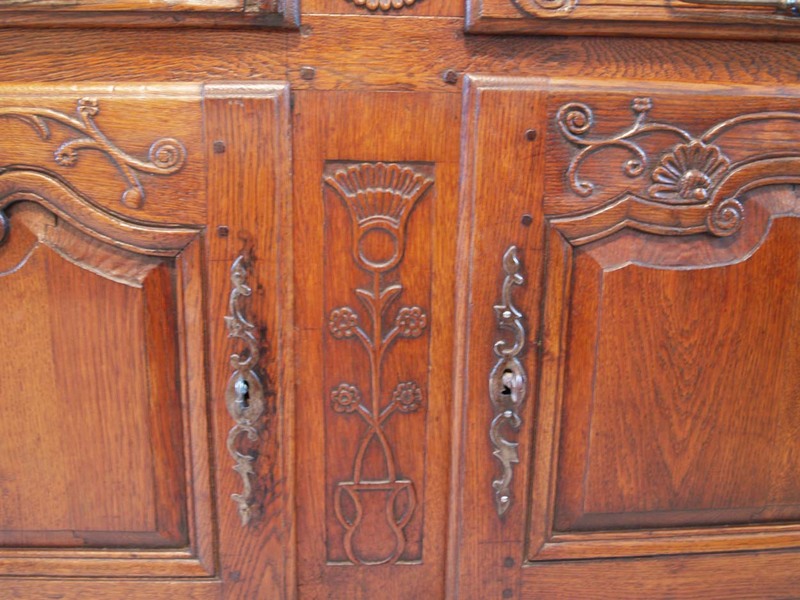 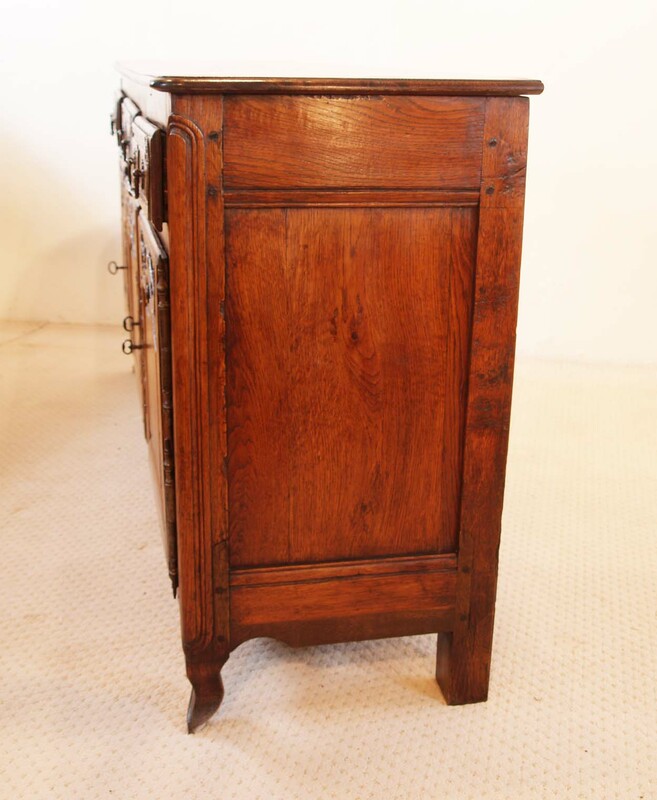 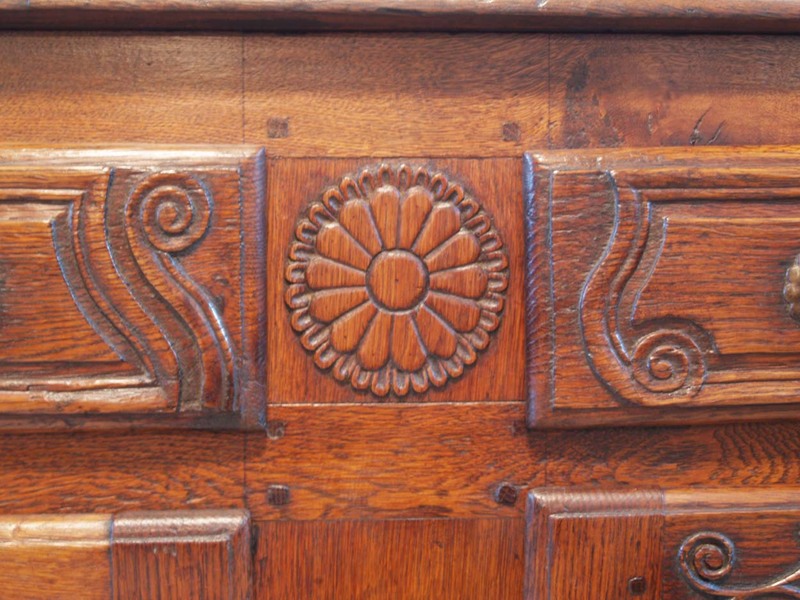 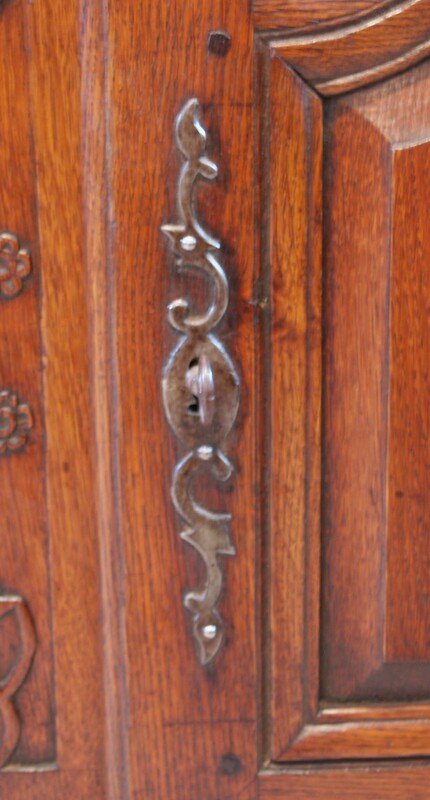 It is unusual to find original steel handles, hinges and escutcheons, as over a period of time normally one or more are lost.The alluring slight centre bow, gives this wonderful piece it’s guarantee as to age and authenticity. 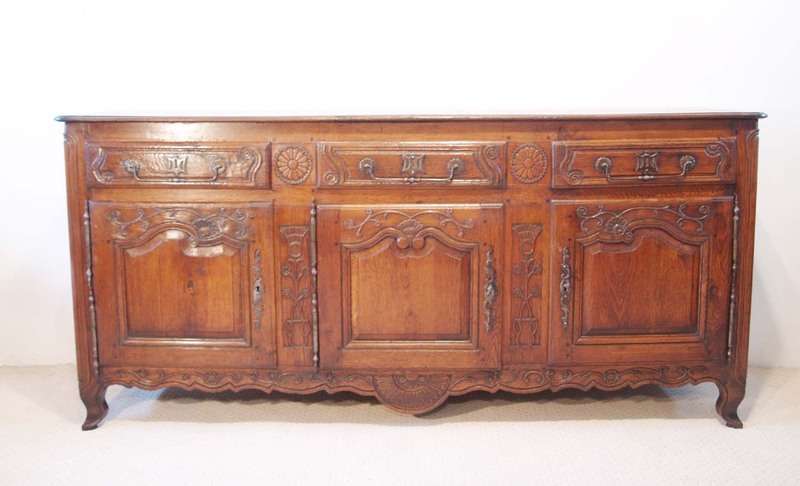 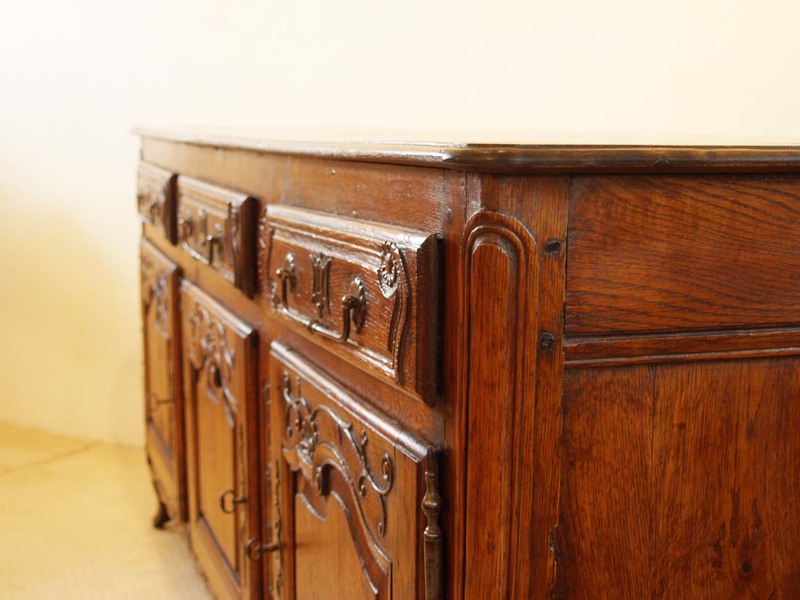 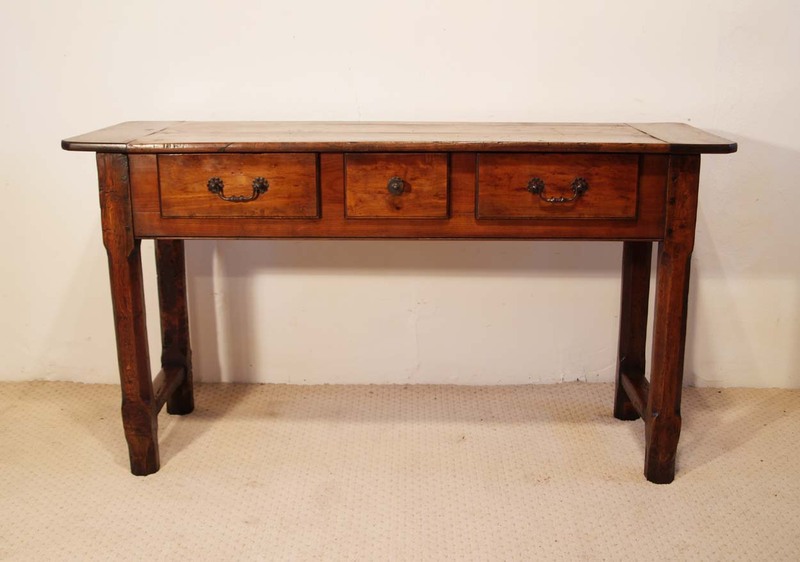 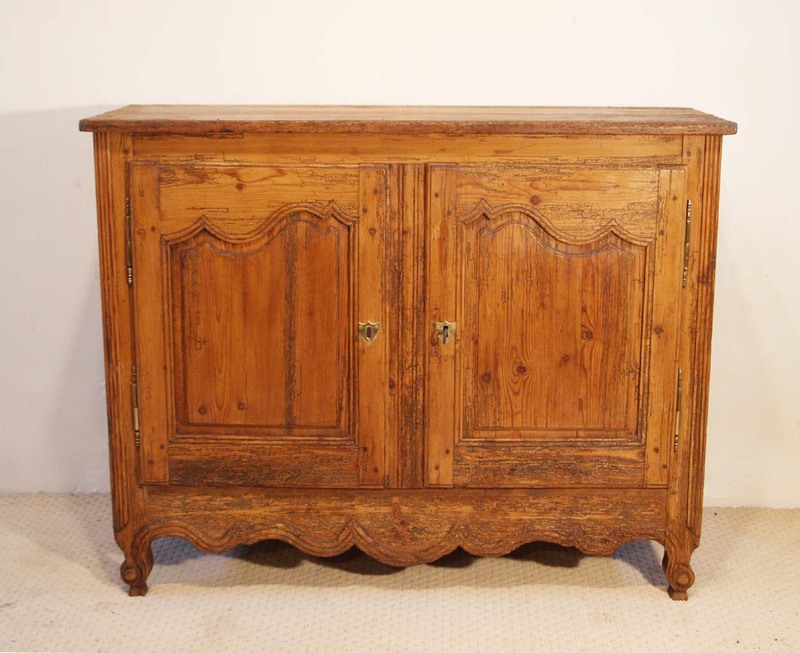 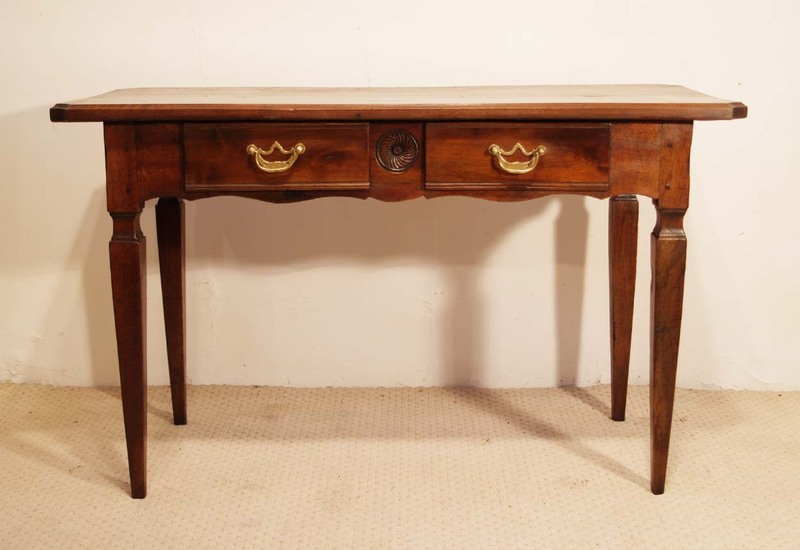 This French antique vintage 0ak enfilade, 3 door buffet, having been made from French oak from the Normandy region of France, although extremely robust, has the look and feel of a fine piece, having the cabriole feet to the front and good dimensions all round. 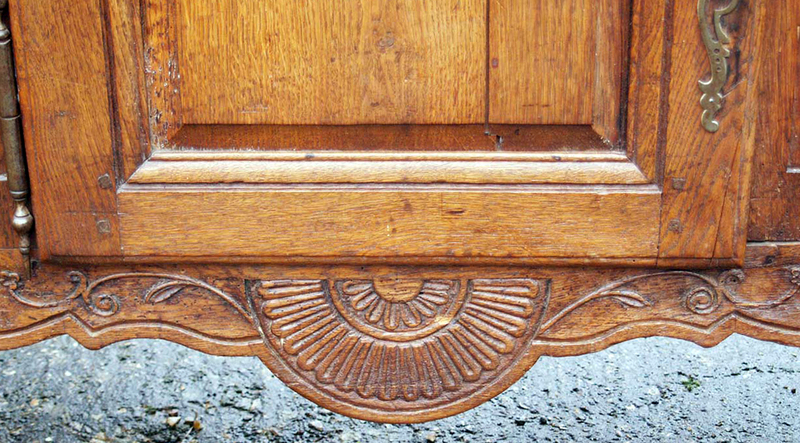 The original clean and wonderfully distinct lines, having been introduced by the “ebeniste” whom originally made this piece.